A dim sum evokes all kinds of feelings in me. I associate it with comfort food. Though traditionally it was meant to be an appetiser, I can eat it any time during the day – breakfast, lunch or dinner. And in between. There are moments I could do anything for that perfect steaming mouth-watering dim sum. It’s a seemingly simple dish – but one bite and you’re in foodie heaven. If you read this detailed guide, it will tell you that dim sum means “touch the heart” – it definitely does something to mine! My fellow foodie in Bangalore, Mukta Chakravorty, braved the incessant rains (and risked being stranded thanks to our infamous local disappearing cabbies of Bangalore), and came back with this report. A Michelin-star restaurant, baskets of steaming hot dim sums and cocktails – perfect combination for a rain-drenched Wednesday evening. We all know how the rains in the city throws everything off course. Afraid it would put a dampener and the traffic already looking menacing, it was about an hour’s battle to get to the Yauatcha, located at 1 MG Road. But as early birds, we got to start our meal with a refreshing lime and passion fruit mocktail. The menacing environment outside seemed a little less stressful as we found ourselves relaxing. The new menu features an assorted dim sum basket (both veggie and non-veg options), a pink champagne cocktail and macarons (also called macaroons). 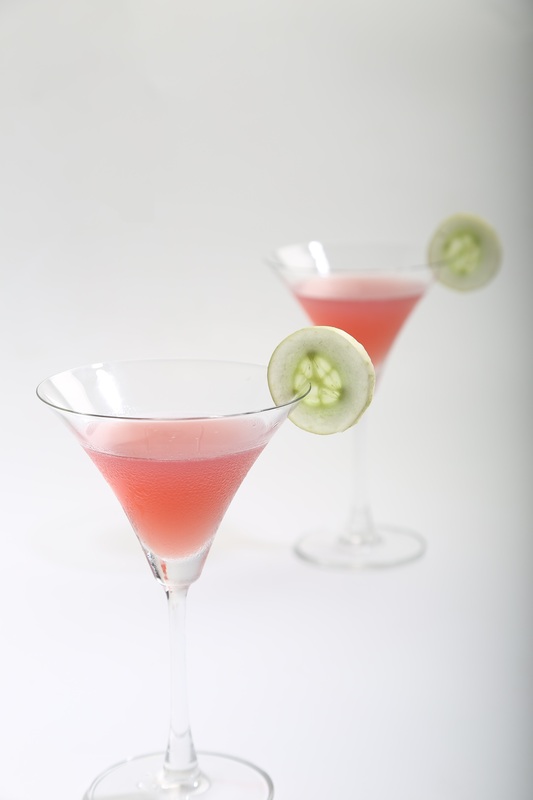 The cocktail, aptly called the “Red Dragon” had white rum, campari, cranberry juice and pink champagne – and just enough kick. The occasion was the introduction of a special limited edition menu to mark the restaurant’s anniversary celebrations in the city. But we must get back to the dim sums. When the basket was unraveled, we were blown away by the good looking models in front of us. Multi-hued and perfectly crafted, with thin, translucent coatings, they were just inviting to be relished. The veg dim sum basket consisted of baby corn and French beans, spicy turnip, vegetable mandarin and vegetable chow. The regular basket had prawn and scallops, pepper, chicken and celery. 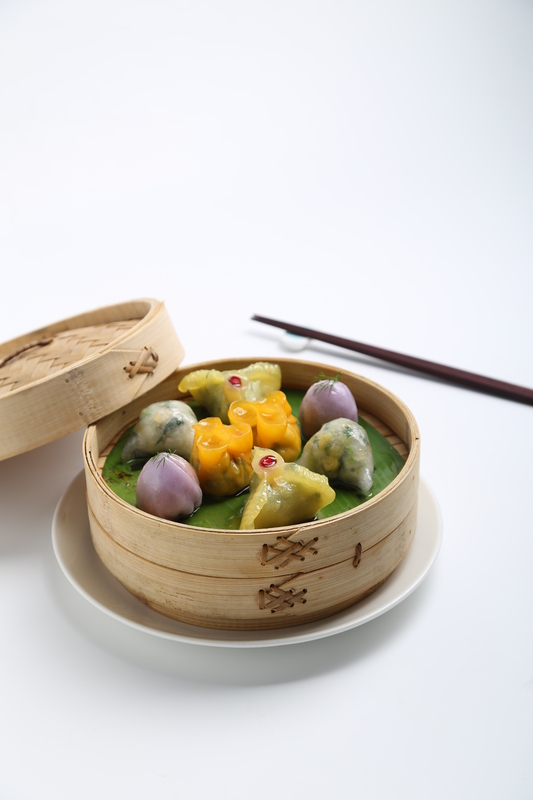 A spread of dim sums – filled with goodness and bursting flavours! Although all the dim sums were quite scrumptious, my picks would be the spicy turnip, vegetable mandarin and the prawn and scallops. The spicy turnip had a gorgeous lavender coating and provided a burst of flavour with each mouthful. Who would have thought that this humble vegetable could be turned into such a delectable morsel. The vegetable mandarin had the right amount of citrus zest that lingered on the palate. And as for the prawn and scallop, I think it did a little dance on my taste buds. Succulent and juicy, it was pure joy! Oh, wait. The feast was yet to end. Contentedly patting our satisfied tummies, we were offered to try some of the other restaurant specials (not a part of the set menu). But then when it comes to food, we have a problem saying “no more”. So we gave in; rather easily. Sampled their kung-pao chicken, stir-fried green beans, rice noodles, and fried rice. If you’re thinking we’d had enough; apparently not. As a sweet end to a sumptuous meal, we got treated to the champagne cherry macarons. Chewy on the outside and moist butter cream on the inside, it was everything that a good macaron should be. Delightful, soft, chewy and oh so good! The rains, and terrible traffic were just a distant memory (at least for a while), as bit into our macarons. If only life was just as sweet all the time. 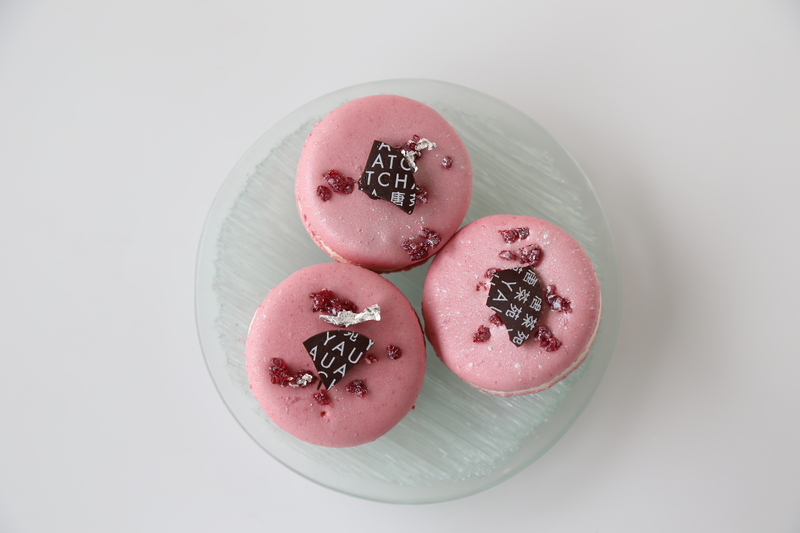 If you’re tempted enough, do visit Yauatcha for taste of their anniversary special limited edition set menu from November 9-30, 2015 – your taste buds will thank you. (Note: On an invitation from Yauatcha to try out the anniversary special menu).